As you know, I have been a loyal reader of Dunk & Crumble for months now, and I am generally supportive of all content on the blog. I find it refreshing and witty, and the recipes always look delicious. However, I feel you have betrayed my trust as a reader by posting a recipe for pistachio cookies. As you know, I am deathly allergic to pistachios, and I do not support any pistachio-related items of any kind. And yet, you have done the unthinkable – you have ENCOURAGED your readership to not only cook with pistachios, but to feature them in the holiest of dessert forms – a cookie! Well, I for one will not stand for this – the pistachio is a deadly, ugly and terrible tasting nut that has no business going near a cookie. I am deeply disturbed by this post, and I hope your other readers feel much the same way. I sincerely hope that your next series of posts on Dunk & Crumble returns to its roots and features a wide variety of nut-free items that all of America can enjoy safely and deliciously. In the meantime, I shall go into hibernation for a few weeks to ensure that the mass production of pistachio cookies does not permanently wound me. And with that, I say good day. It is with sincerest apologies that I send this email to you. We here at Dunk & Crumble strive for constant customer satisfaction, and should have known better than to post a cookie recipe featuring the crude and deeply poisonous pistachio. We appreciate your email which so thoroughly brings this matter to our attention. It might please to you know that, in response, all pistachios have been fired and banished from both the building and the immediate vicinity. Again, our sincerest apologies. Please rest assured that we will strive to remain faithful to the founding Dunk & Crumble ideology, which as you know is based on Steve Brauntuch-approved, nut-free and entirely non toxic products and recipes. We hope you will continue to stick with us as we strive to return to our humble and hypo-allergenic roots. 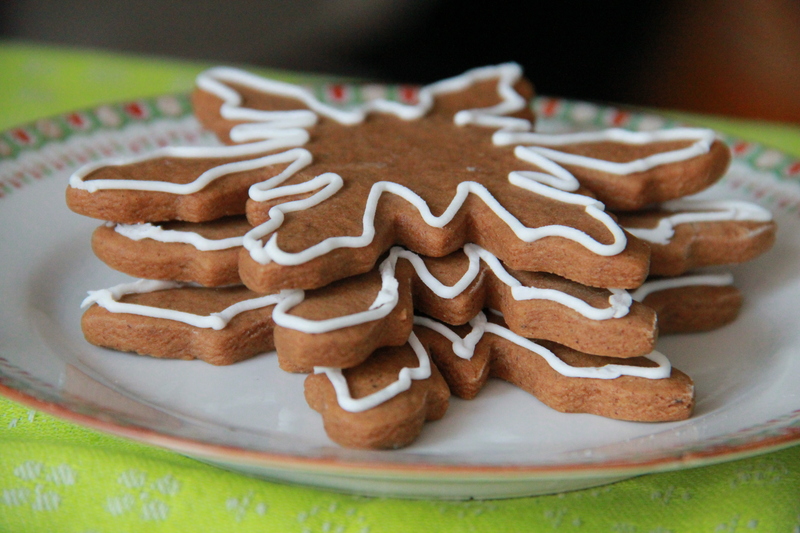 The classic gingerbread cookie. Cute. Tasty. Classic. And, best of all, entirely devoid of nut products. And with that, my friends, I say good day. In a large bowl, whisk together the flour, baking soda, baking powder, salt, ginger, cinnamon and cloves. Set aside. In another large bowl, cream together the butter and dark brown sugar until light and fluffy. Add the egg, and beat to combine. Add the molasses, and mix until smooth. Next, add the dry ingredients all at once, and mix gently until fully incorporated and cookie dough comes together. Divide dough into two discs, and wrap well in plastic. Chill the dough until firm, at least 2 hours, or overnight. When ready to bake, preheat the oven to 350 degrees F. On a well-floured surface, use a rolling pin to roll the dough to 1/4-inch thickness. 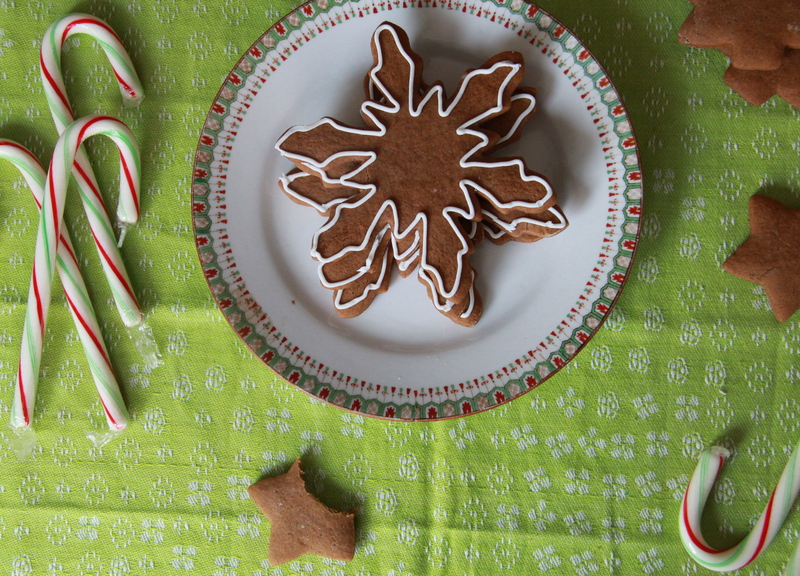 Use cookie cutters to cut out shapes, then place on a well greased cookie sheet, leaving space between cookies. 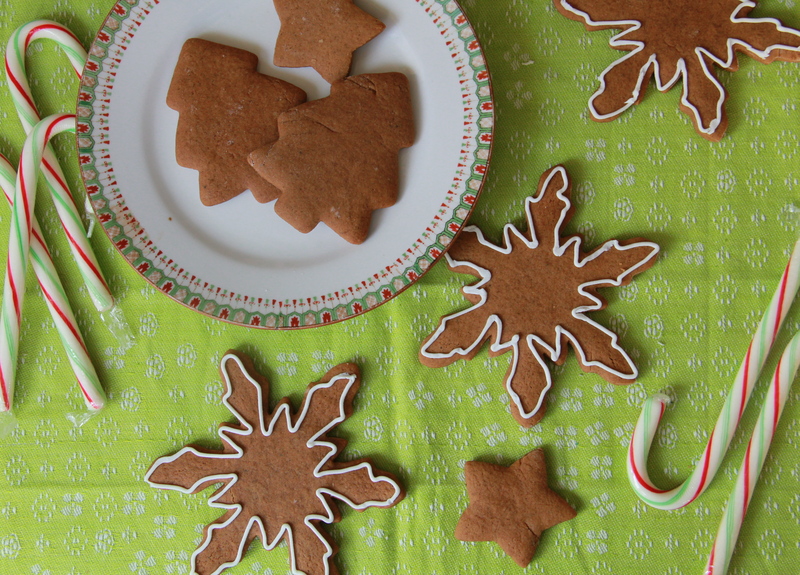 Dough scraps can be gathered and re-rolled a few times to make as many cookies as possible. Bake cookies for exactly 8 minutes, and cool completely on a wire rack before decorating with royal icing. Makes between 20-40 cookies, depending on size of cookie cutters.